After being diagnosed with three forms of epilepsy, Jai Whitelaw and his family turned to medical cannabis for his 500 daily seizures. After being told they had exhausted all other treatment options, this boy and his family turned to the help of medical cannabis. While many in Australia remain skeptical of the treatment, there’s no denying the relief it has provided to many children, especially those who suffer from epilepsy. In an attempt to provide scientific evidence of cannabis’ value, a new study is beginning at nine hospitals. Some say all the proof needed lies with Jai Whitelaw, the young patient who was able to quell his seizures, thanks to medical cannabis. 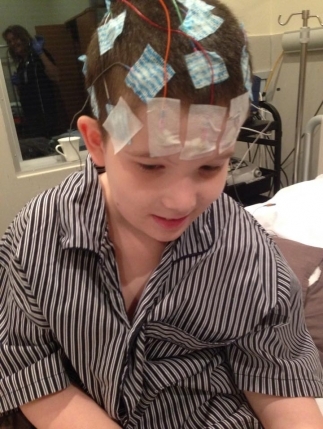 Jai Whitelaw, a 12-year-old from Queensland, Australia suffers from not one, but three forms of epilepsy. In 2010, at 5-years-old, Jai was diagnosed with the rare forms that brought on more than 500 seizures per day. While this number might seem unfathomable, the constant state of seizing added additional injuries, like broken bones, strained muscles and an assortment of bumps and bruises that were acquired throughout each day. Jai’s mother, Michelle, watched for years as her young son struggled from day to day. She tried to give him some kind of comfort and hope but was quickly losing steam herself. In 2012, Jai spent only five weeks in his home. In 2013, he got to spend nearly 12 weeks with his family outside of medical facilities. The constant hospital stays were necessary to help control and treat his epilepsy, but by 2014, Jai was taking more than 35 prescriptions per day and still suffering from up to 500 seizures. After exhausting all treatment options, doctors told Michelle there was nothing left they could do. She was told to take her son home and simply love him while he was still with them. Determined to give her son every fighting chance, she turned to a more taboo form of treatment. Michelle sought out the help of Tony Bower, an advocate for the use of medicinal cannabis and operator of Mullaways Medical Cannabis Pty Ltd. Bower began treating Jai, at no cost, with different tinctures and oils until the correct dosing was established. Before long, Michelle saw the results she’d always prayed would prevail. The seizures stopped. He is now, basically, seizure free and is counting up to nearly 700 days free. Now, with the help of cases like Jai’s, Bower is hoping to prove the validity of medical cannabis through a new research trial. Originally, the study included just two Australian hospitals. Now, nine are included. The year-long trial will survey 80 patients treating chemotherapy-induced nausea or vomiting with medical cannabis. While Michelle believes medical cannabis has already proved its value, she’s eager for Bower, the man who saved her son, to partake in the scientific study. Specialists need the science. So, let’s give them the science. Let’s give them more trials. My frustration is that Tony is providing medicine for some 200 sick kids. So, why aren’t they listening to him as the medicine maker? We have the very clear medical evidence that Jai is now seizure free. Change the laws. I just don’t get it. The results of the trial won’t be available for some, but that won’t stop Michelle and Bower from proclaiming the miracle of medical cannabis in the meantime.